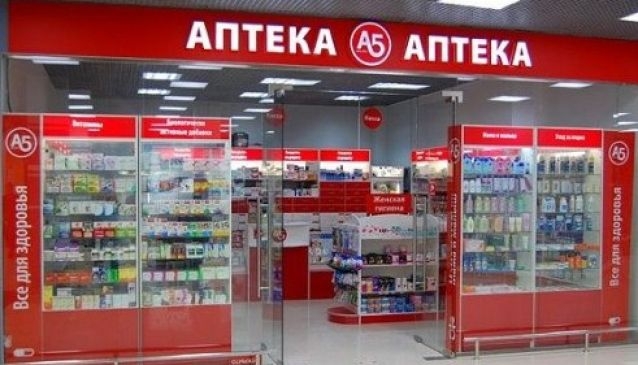 A5 is one of the widest spread pharmacy chains in Moscow. A5 puts emphasis on customer service providing a whole range of services. There are over 1000 drugstores, 300 of which are situated in such well-known supermarkets, as Pyaterochka, Perekrestok, Karusel, and others. The wide range of products available at the drugstores always meets all demands of the customers. In each drugstore of A5 chain, you can order a rare medicine, which will be delivered specially for you. A5 pharmacy chain has its own educational center that helps the staff upgrade the skills constantly and provide professional service. New standards of retail and new technologies are created and introduced. A5 strives to keep up with the times and offer modern and flexible service to every customer.